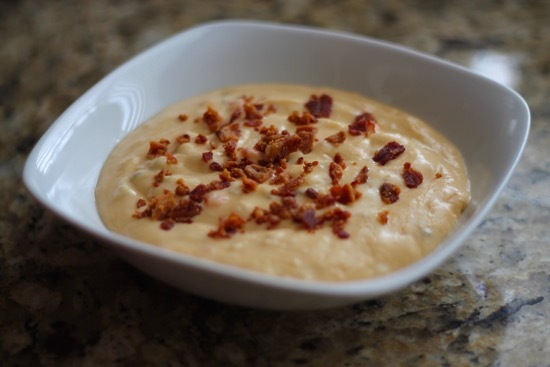 As we continue to embark on a journey with beer recipes, I thought about combining another favorite ingredient that I love to cook with (Bacon). 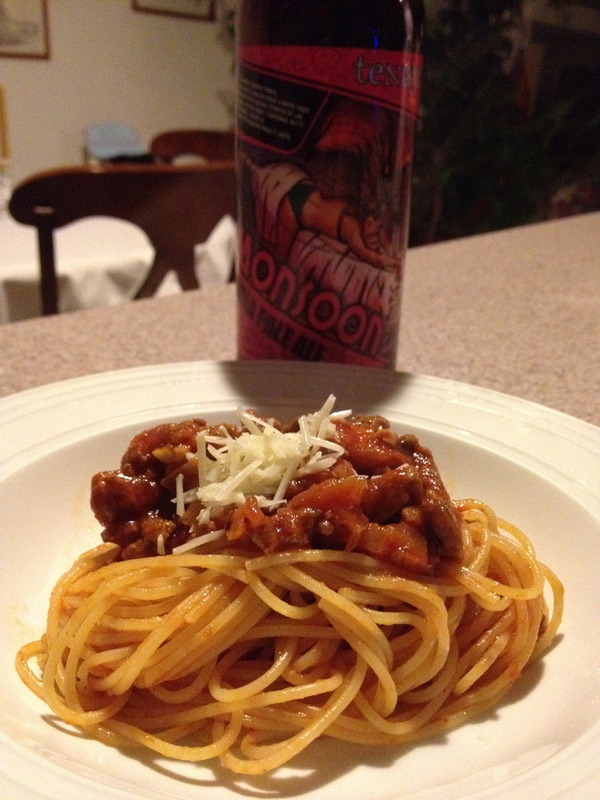 In this post, we will be making a Bacon and IPA Spaghetti sauce. Many of you will wonder what the actual taste will be. I will give you a little hint: it will all depend on what kind of beer you will be using while making the sauce. Think of the beer as the foundation for the sauce. If you start with a not so good flavored beer, do not expect any miracles in the end. You have been warned. The beer I choose today is coming from the Tenaya Creek Brewery. The name of the beer is Monsoon IPA. The beer is light amber in color, full bodied and well hopped. Perfect for this recipe! On to the cooking now! Fry Bacon until crisp; drain. Remove Bacon from the skillet. To the Bacon fat add Onions and Garlic. Sauté until golden. Add ground Beef and Cheese. Stir often. Cook until the meat is brown. Add Beer and cook for about 10 minutes. Add the Tomato Paste, Salt, Tabasco, Worcestershire, Oregano and simmer for 10 minutes. Add Tomato Puree, Mushrooms and Bacon. Continue cooking until thickened, about 8-10 minutes. Please keep in mind, as I have stated in my previous post, when it comes to the beer recipes, I will try to keep the recipe as straightforward and as simple as possible. 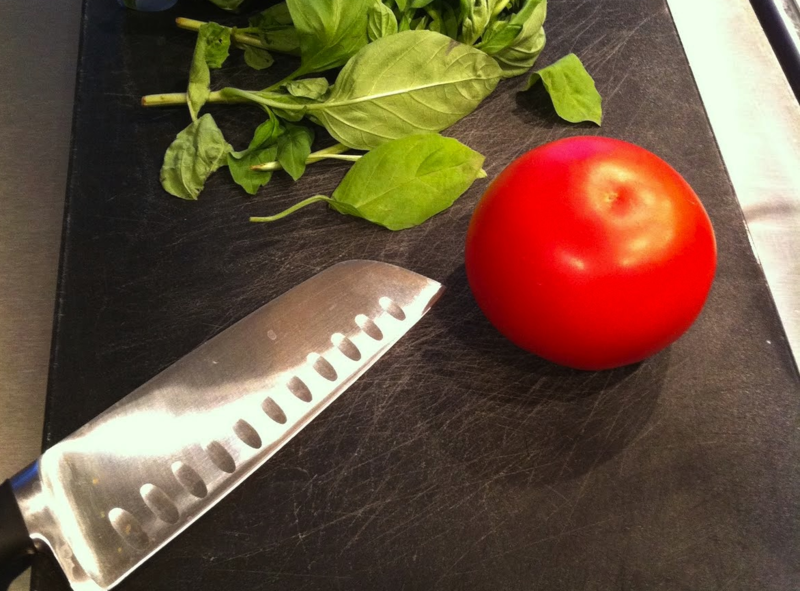 You can add additional flavor to the sauce by adding Basil and Parsley to the recipe. I also recommend adding just a pinch of Sugar when making any kind of Tomato sauce. It helps fight the acidity of the tomato. 2 ea (8 oz) Tubs Mascarpone Cheese at toom temperature. In a chilled bowl, whip the Cream until stiff peaks form, making sure not to overbeat. Cover the bowl when done and set it aside in the refrigerator. In another bowl, beat Eggs and Salt until the volume doubles and the color lightens. Add the Sugar, Vanilla and Mascarpone. Mix gently until incorporated. Fold in the whipped cream and then set aside in the refrigerator. In a shallow dish quickly dunk both sides of the Ladyfingers. Arrange them in a single layer in an 8 inch square dish. Spread the layer of Mascarpone mixture over the Ladyfingers. Sprinkle on a liberal amount of cocoa using a fine mesh sieve. Repeat the layers, using all the Ladyfingers and Mascarpone mixture, and generously dusting with Cocoa again. Beeramisu will keep covered and refrigerated for up to 2 days. 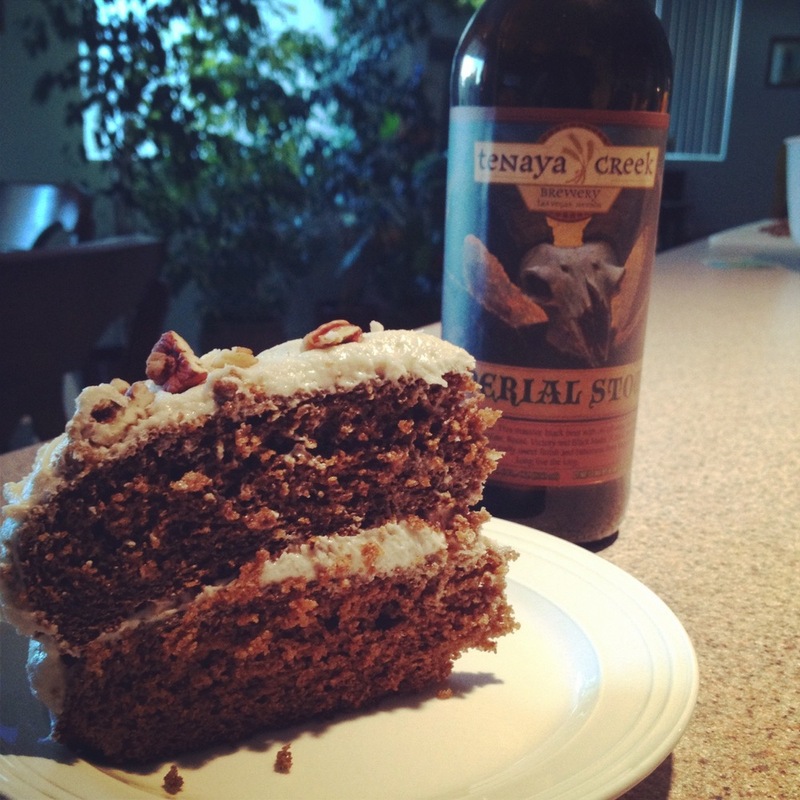 You remember Goran’s cake recipe he posted using Tenaya Creek’s Imperial Stout, right? Wish you could eat the cake without the hassle of actually making it? Head to the Tenaya Creek brewery after 6pm on the 31st to meet up with Goran and the rest of us at Hooked on Hops to sample some of the cake while drinking some of the brewery’s finest beers. We plan on having a busy night and there’s only so much cake to go around so show up early! I have recently became a contributor to this blog. This is the my first post. I will be posting many recipes in the future that include beer as one of the ingredients. Please do not be shy as far as leaving any feedback. I will be also very happy to answer any questions you may have. For this recipe I have decided to use the Imperial Stout beer from Tenaya Creek Brewery from Las Vegas, Nevada after our recent trip there. The stout has Chocolate, Roasted and Black malts making this a very thick and flavorful beer. It is definitely one of my top favorite beers out there. Please keep in mind that, for this recipe, I have decided to keep it very simple and also due to the fact that I would like everyone to be able to make this cake, I have taken lots of shortcuts. There is a long way of doing this (which will yield an even better result), but I guarantee you, I would have lost you half way throughout the recipe. Anywho, I implemented the K.I.S.S method (Keep it simple, stupid). On to the recipe now! 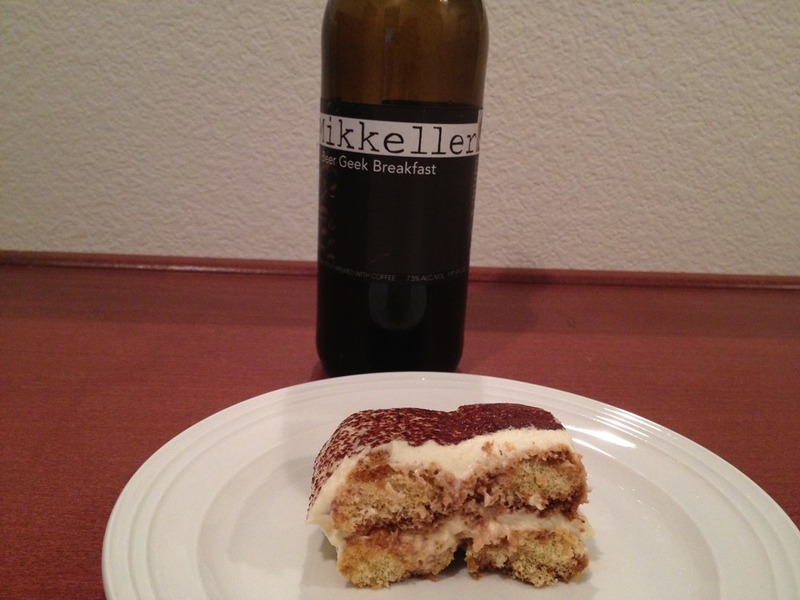 Stir together gingerbread cake mix, eggs and 2 1/2c Imperial Stout beer. Bake at 350 degrees for 35 minutes or until the toothpick is clean once inserted into the center of the cake. Cool the cake on the rack for 1 hour or until completely cool. Beat the softened butter at medium speed until creamy. Add the sugar and the 1/4c Imperial Stout beer gradually.Beat until light and fluffy. Spread the Buttercream between the layers and on the top of the cake. Keep in mind that you can use plenty of things for garnish. I have decided to go for roasted Pecans this time. Make sure you toast them in the over at 350 degrees for about 10-15 minutes. Be careful and do not burn the nuts.